I like the new Admin dashboards available, just wish they could be customized a bit. 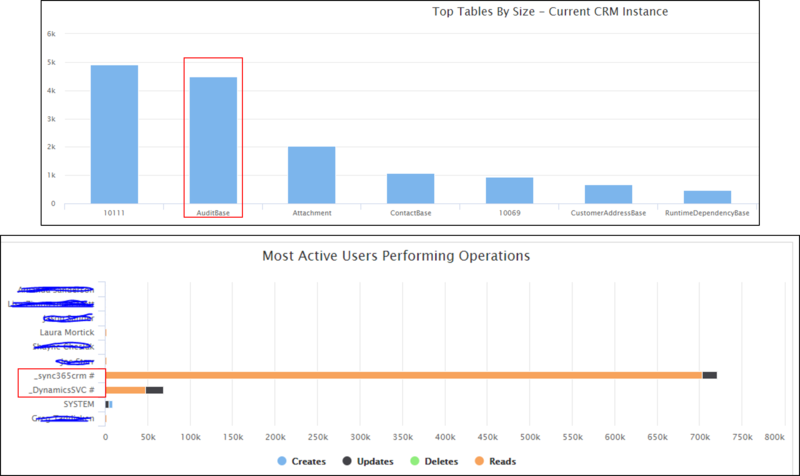 We are using this dashboard to monitor our storage usage and notice that the largest table is our AuditBase table. We were planning to delete a lot of these audit records, but wanted to check on something first. This dashboard also provides information about active users who read or create records in the system over a certain time period. Is this calculated using the audit records? In other words, if i delete all the audit records, will i lose my visibility into the active users?